Thank you to the many donors who generously support our scholarships and awards. 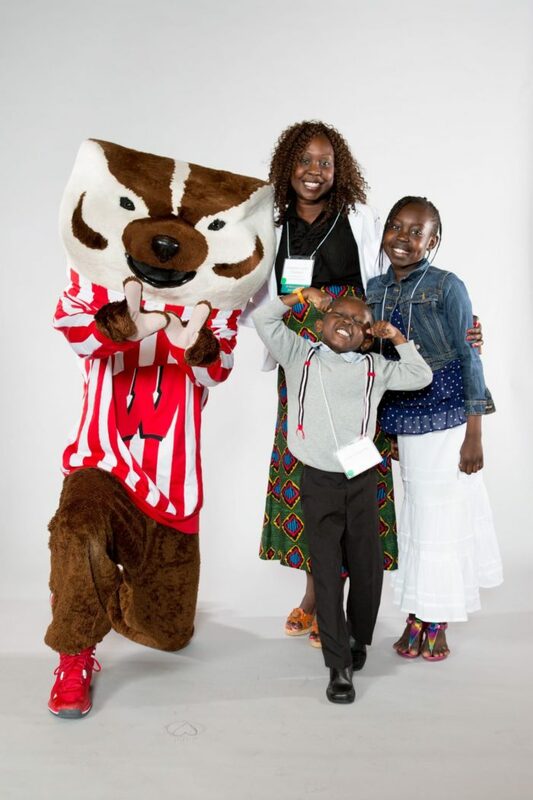 Your donations help make education at UW-Madison accessible for returning adult and nontraditional students juggling multiple responsibilities and roles as they work toward completing a degree. Gifts of any amount are welcome and deeply appreciated. This fund provides financial support to returning adult students working toward degree completion including the Badger Ready program. Contributions to this fund will be applied to the areas of greatest need. This fund was established by Alma Baron who returned to school at age 51 to earn a doctorate in adult education. Dr. Baron’s family continues to support the fund in her memory. This scholarship supports women aged 45 or older who are returning to school. This fund was established in memory of Nancy Denney, a single parent and devoted professor who died of cancer in 1995. Recipients are undergraduate, single parent students. This fund was established by Edith Martindale to honor Bernice Kuney, a UW-Extension professor of English who supported adult students returning to school. This fund supports a graduate of the Odyssey Project pursuing a degree at UW-Madison. A portion of this award goes to a young person chosen by the recipient to be used for an educational activity or educational equipment. Guided by the recommendations of the 2013 Race to Equity Report, this second generation gift is intended to inspire and support a child in grades K-12. This fund supports the Single Parent Undergraduate Scholarship and the Outstanding Undergraduate Returning Adult Student Award. Donations to the PLATO Scholarship Fund can be made by visiting the PLATO webpage. To make a gift by check, please download and complete our donor form selecting the fund(s) you wish to support. Mail the form and your check made payable to UW Foundation to: Anne Niendorf, Adult Career and Special Student Services, 21 N. Park St., Suite 7101, Madison, WI, 53715-1218. If you have questions about making a gift, contact Anne Niendorf, Scholarship coordinator, Adult Career and Special Student Services at anne.niendorf@wisc.edu or 608-265-5120. Know a returning adult student? Encourage them to check out our financial assistance information.